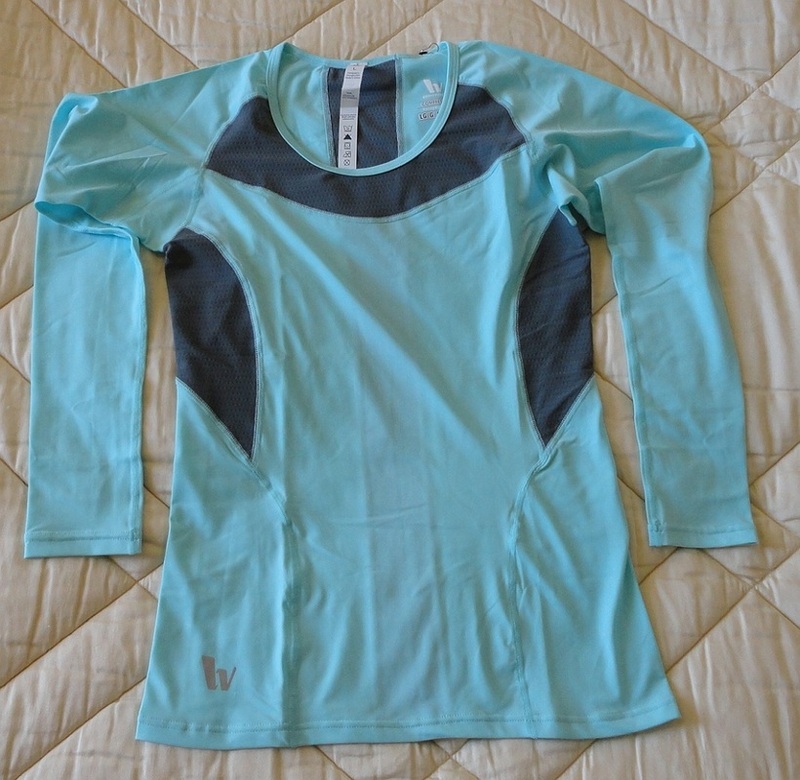 A very practical workout shirt, which was sent to me at no cost for evaluation and review. 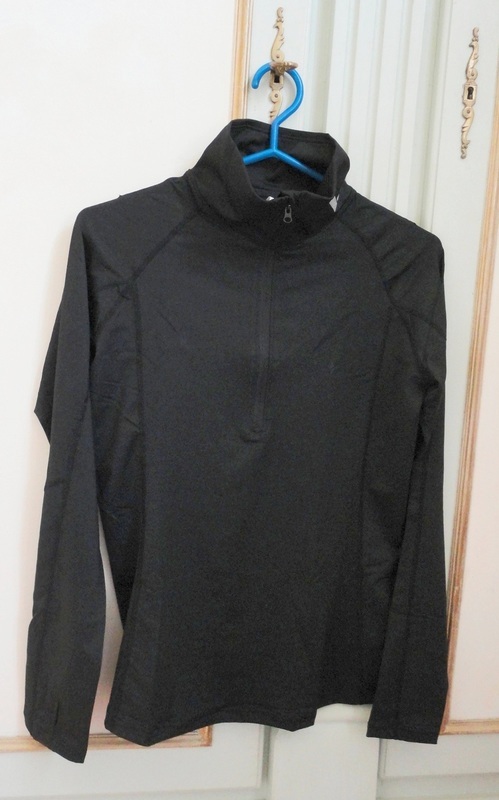 The fabric is thin and very soft on the skin, with excellent heat regulating properties; equally suitable for colder weather (as an inner layer) and energetic workouts indoors. Following the vendor's guidance, I asked for a size Large which fits me well, if a little loosely. I think a Medium would also have worked, which is what the size chart indicated. For reference, I am 5'8”, bust 35”, waist 29”, hips 38” and normally wear a UK size 10. 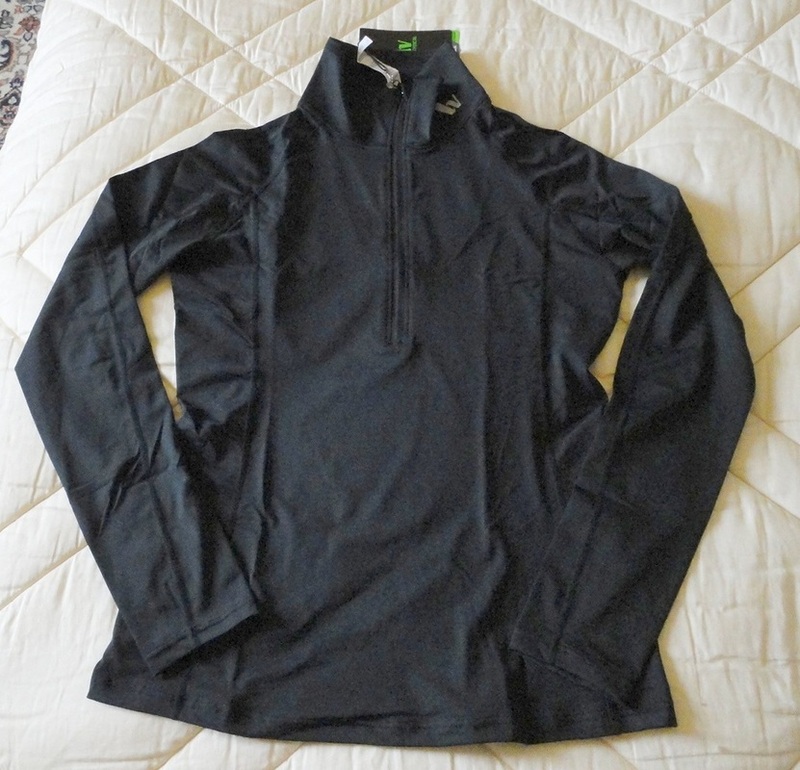 The sleeves are nice and long and the thumb hole is a feature I did not expect to like, but I actually do. It's useful to provide a bit more grip on the handlebars of exercise machines and gives a little protection when using free weights. As usual with this brand, the quality of manufacture is excellent, the stitching is flat and unobtrusive and the cut is correct. 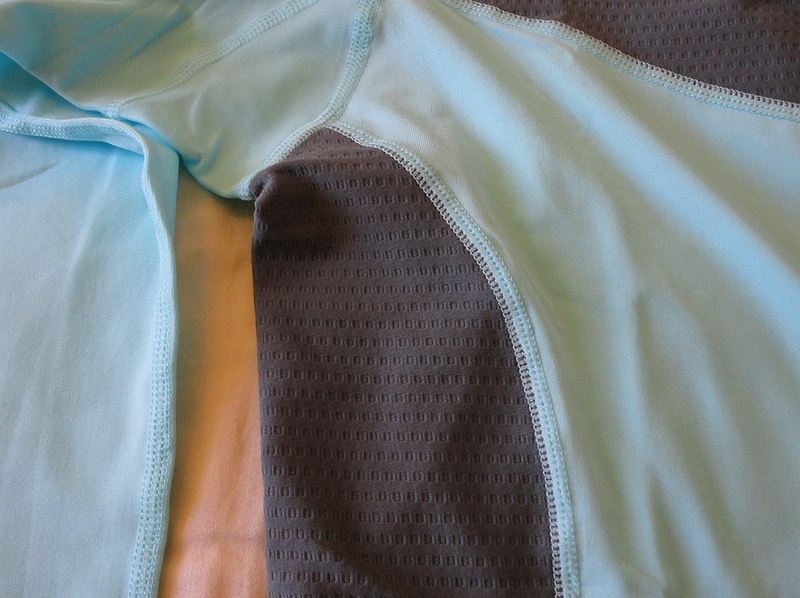 The short zip at the front runs well and does not irritate the skin when left open. 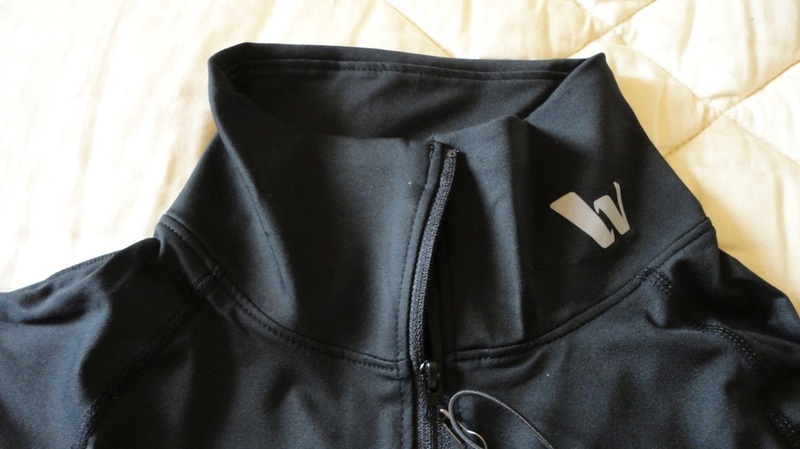 The discreet Vansydical logo on the left side of the collar is light-reflective. As per label, it's a blend of 78% Polyester and 22% Elastane. Very easy to wash and quick to dry (when machine washing, make sure you use the cold water hand-wash or delicate setting, and hang to dry). I love wearing this for workouts, yoga, and generally around the gym, although it would also look good with jeans or shorts. A very pretty workout shirt. The fabric is thin and very cool, ideal for hot weather and energetic workouts. The mesh panels help dissipate heat and perspiration and provide a contrasting pattern. The label says: 84% Polyester and 16% Spandex. 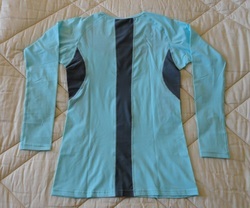 It is quite see-through, so you need to wear a sports bra or top underneath. Based on the measurement guidance, I asked for a size larger than normal, and am very glad because the top is tight-fitting, well shaped around the waist, and narrow in the sleeves (you can see how tight in my photos). I got a size Large for a bust measurement of 88 cm (35”). So I would suggest going up a size on this. 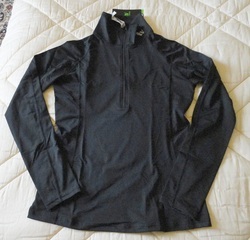 The quality of manufacture is very good, the stitching is flat and unobtrusive and the cut is excellent. 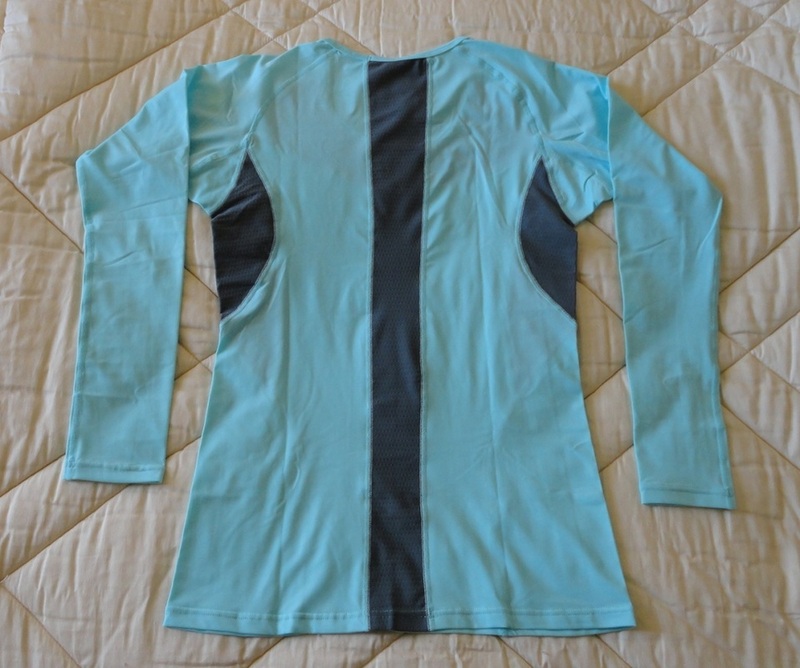 The sleeves are long enough as is the body, although it has a tendency to ride up a little (maybe because it is so tight). 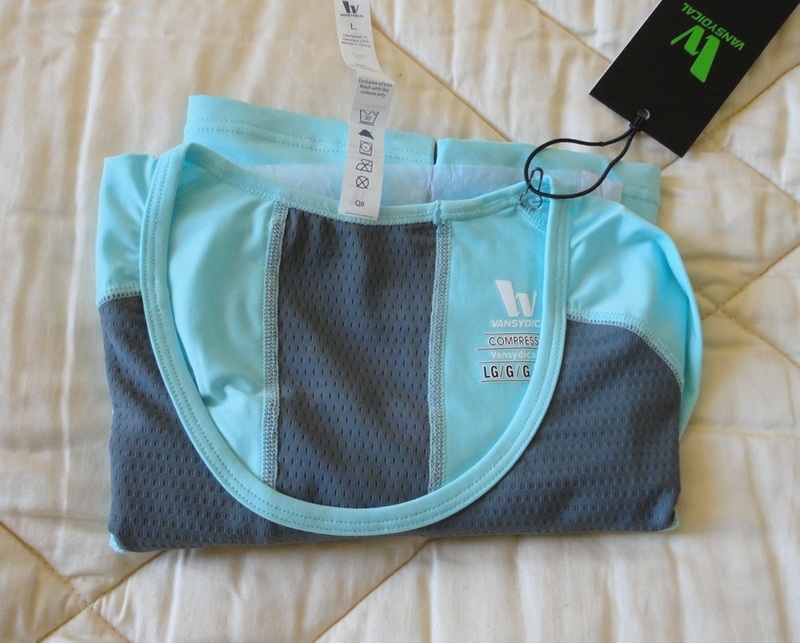 All in all, I like it and find it very comfortable to wear for workouts, yoga, and generally for the gym.